No. 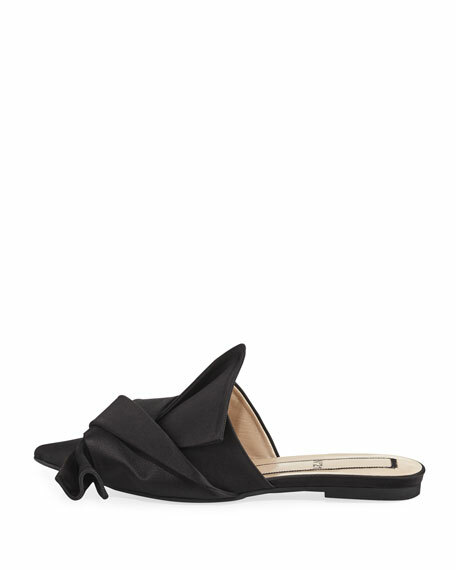 21 pleated satin mule. For in-store inquiries, use sku #2188320. Alexandre Birman two-tone velvet with metallic python snakeskin trim. 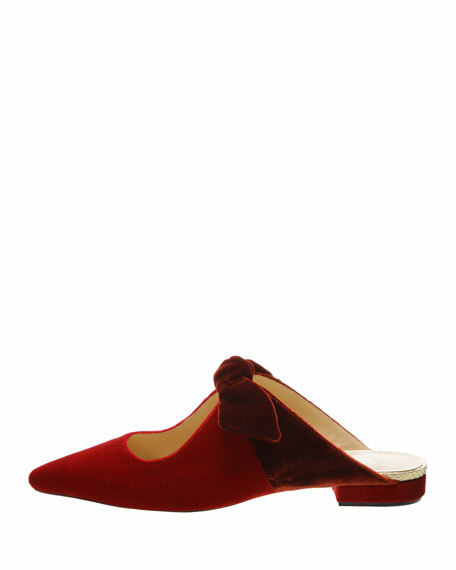 Flat, covered heel. Pointed toe. Knotted bow upper. Slide style. Leather lining. Smooth outsole. "Evelyn" is made in Brazil. 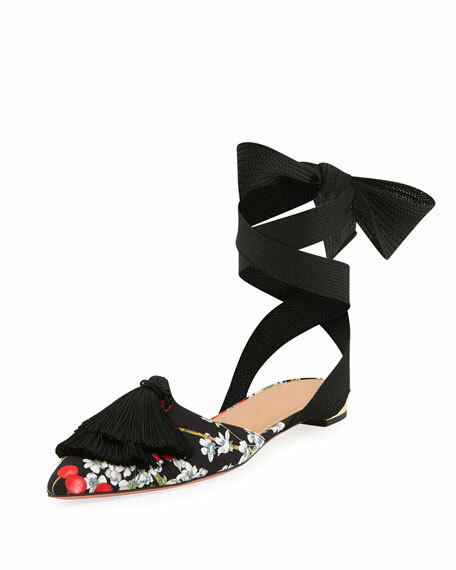 Aquazzura printed fabric flat with tassel trim. Covered flat heel. Pointed toe. Self-tie ankle wrap. Leather lining and sole. "Love" is made in Italy. 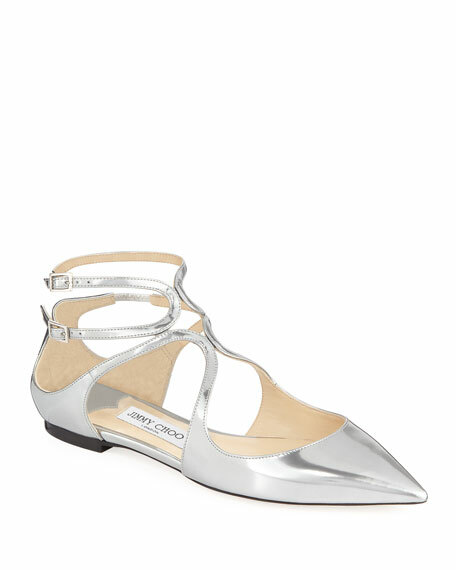 Jimmy Choo metallic leather flat. Flat stacked heel. Pointed toe. Loop-strapped caged upper. Two adjustable buckle straps. Leather lining and sole. "Lancer" is made in Italy. 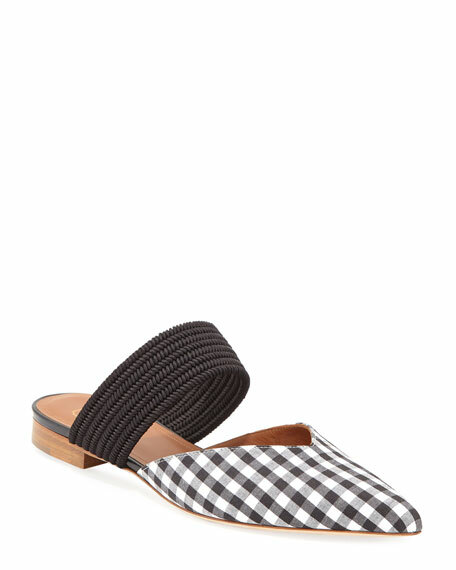 Malone Souliers "Maisie" mule in cotton gingham with stretch-woven strap over the instep. Flat heel. Pointed toe. V'd topline. Leather lining. Slide style. Made in Italy.